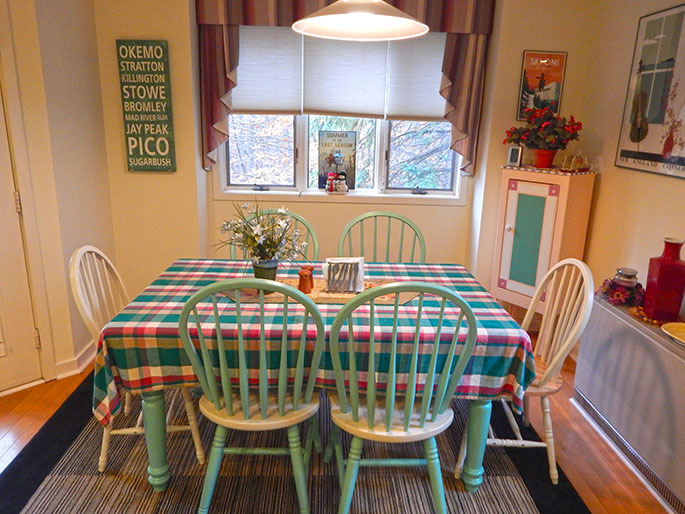 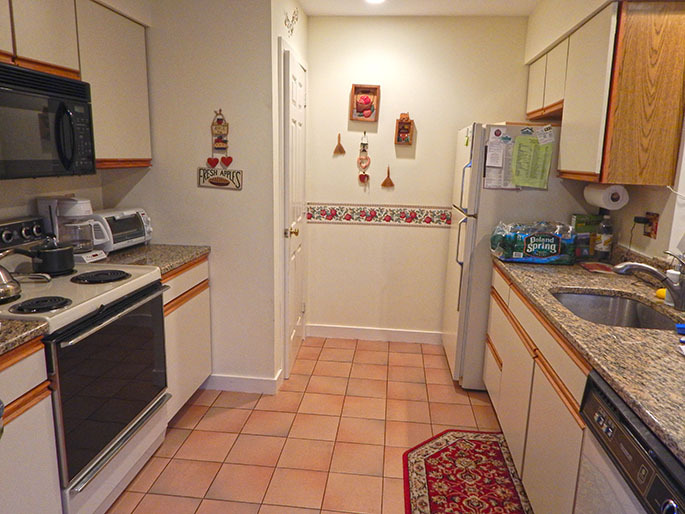 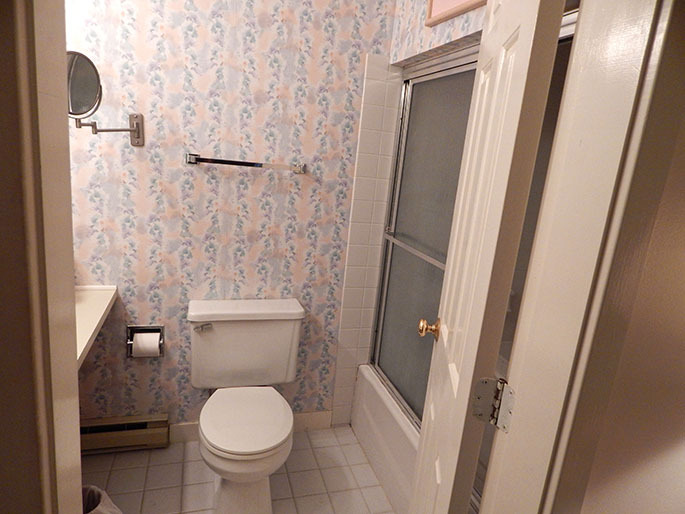 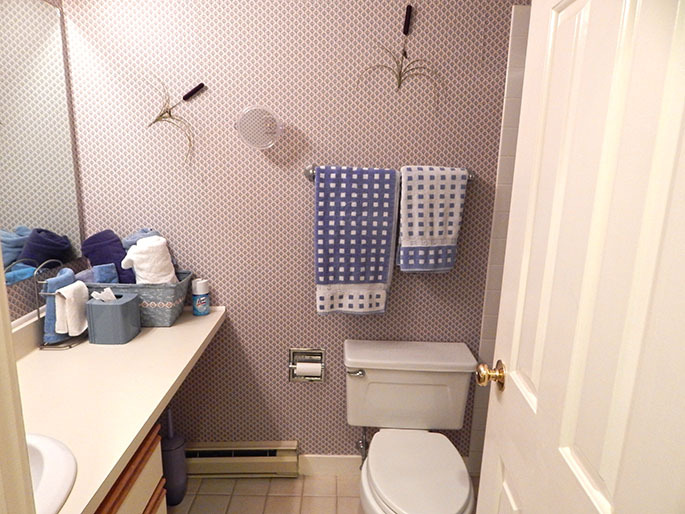 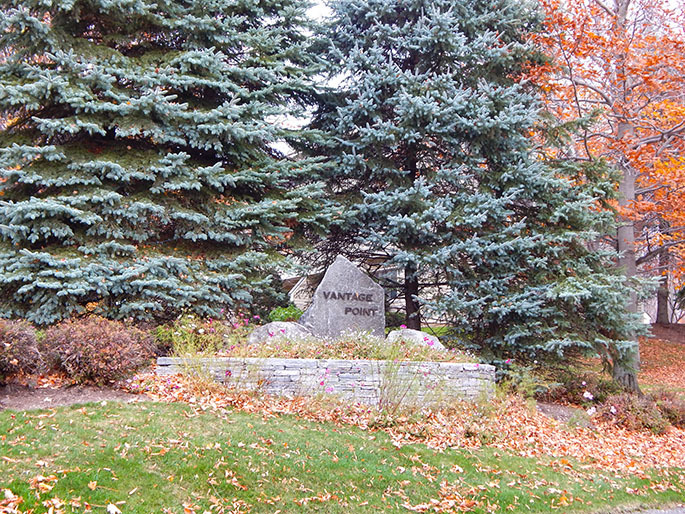 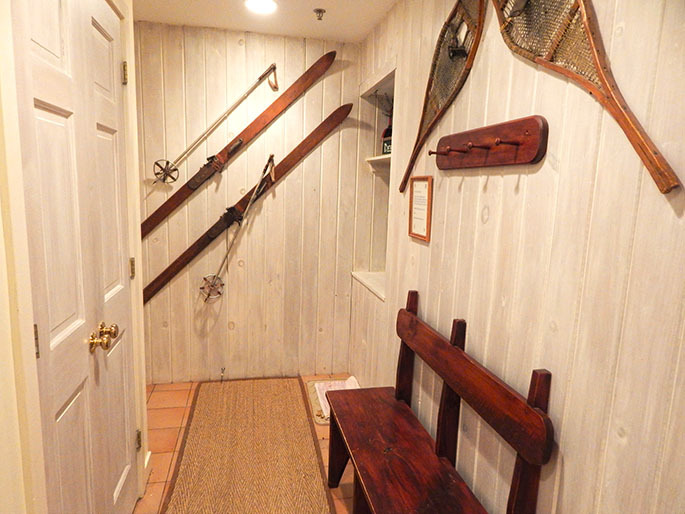 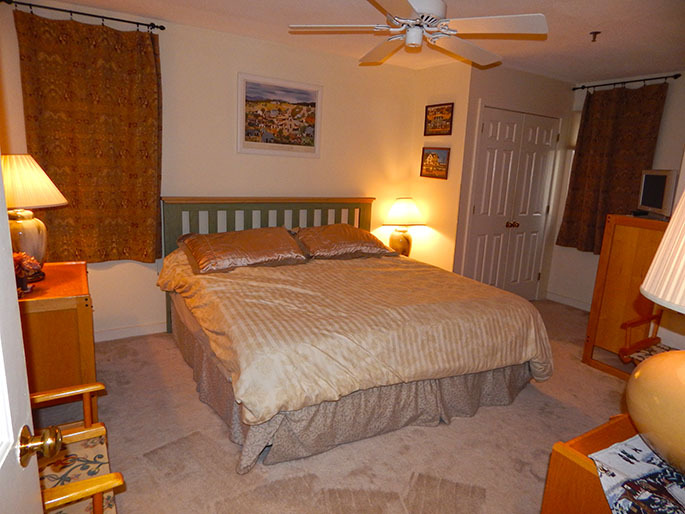 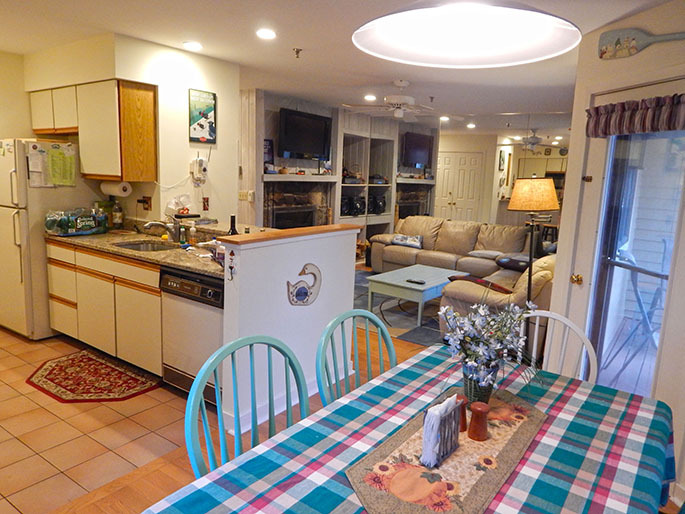 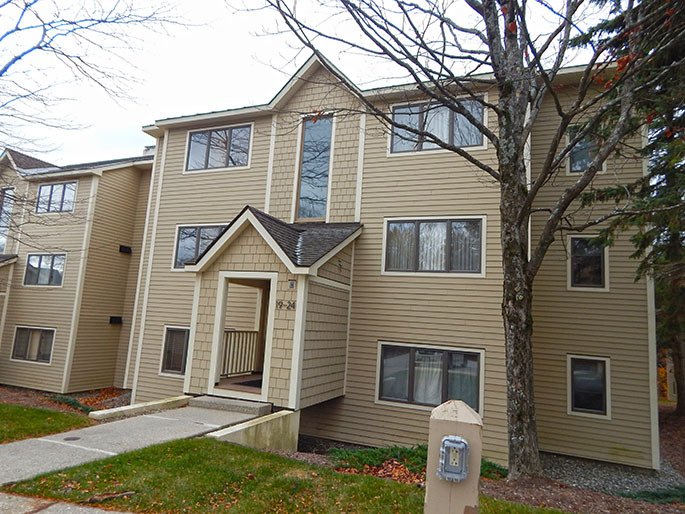 Cute 2 bedroom, 2 bath Vantage Point unit with shuttle service to and from Stratton Mountain. 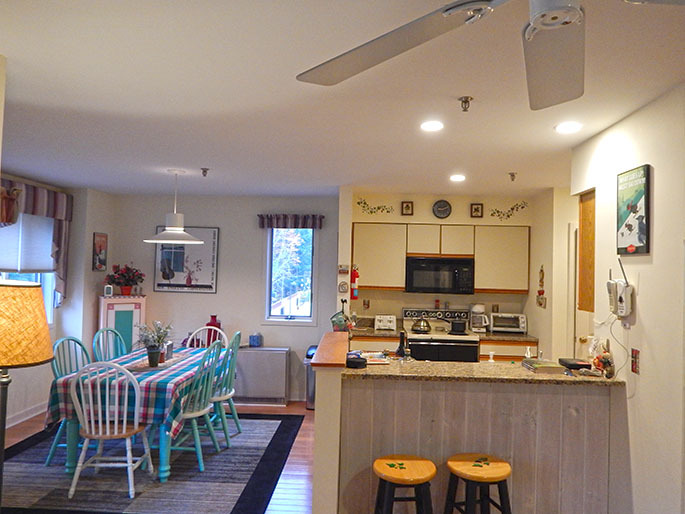 This condo offers an open kitchen, dining room, and living room concept great for entertaining. 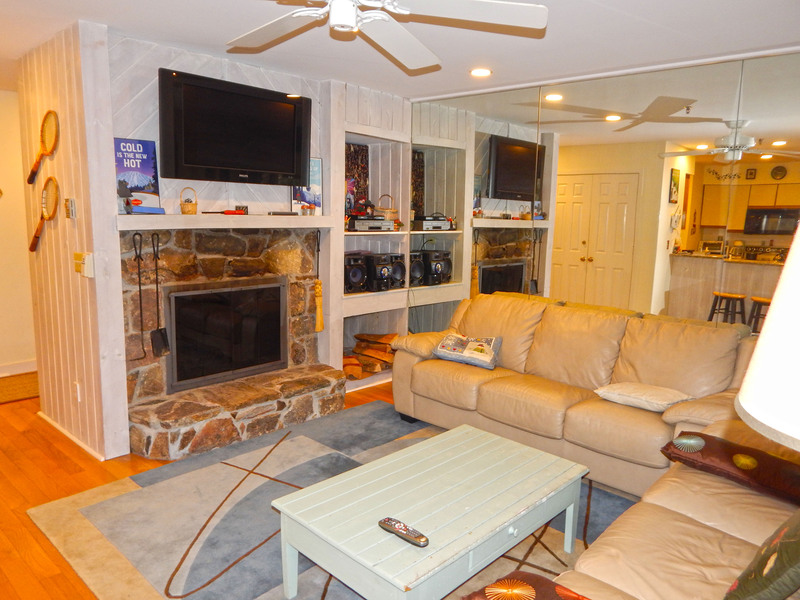 The living room features pull out queen sofa bed, a flat-screen TV, and a cozy fireplace to warm up to after a long day on the slopes. 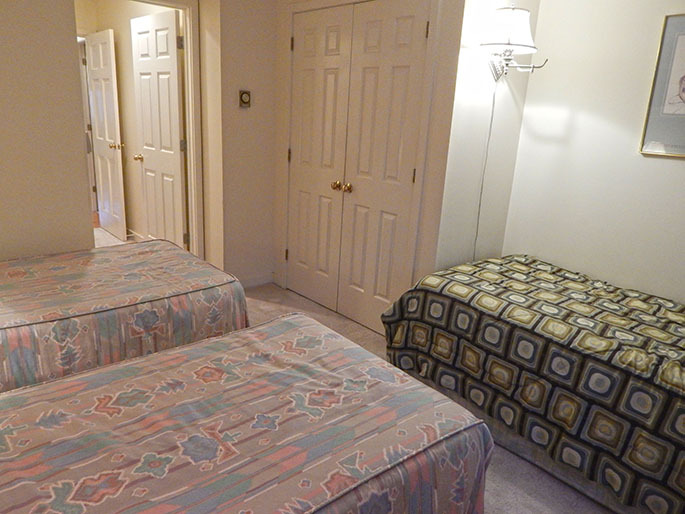 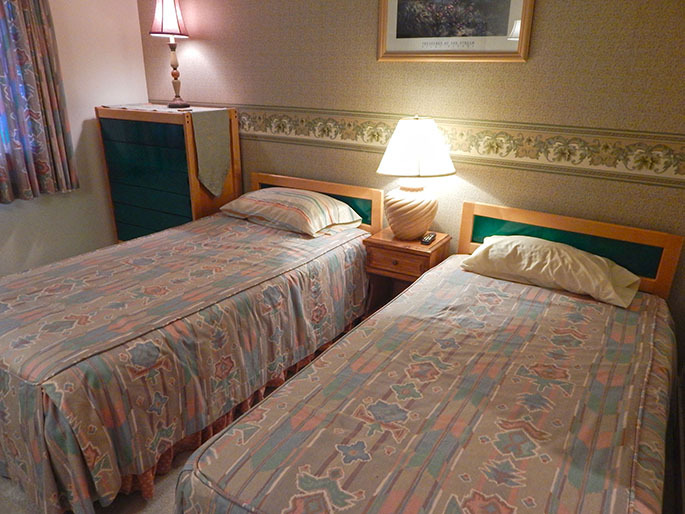 There are two bedrooms, one with a king size bed with attached full bath for the master, and the second with three twin beds and attached full bath. 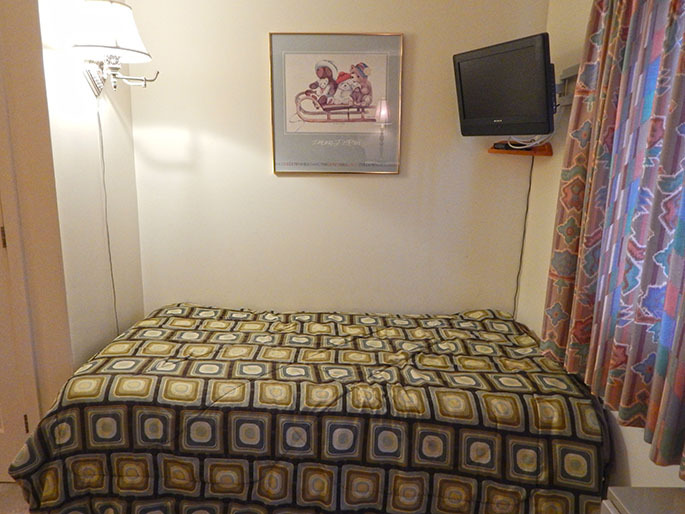 Call us today to book this lovely unit for your winter holiday now!